Brisbane Heat are not mathematically out of reaching the top four but it would take a miracle in truth after losing their last three matches and they have little to play for in reality other than pride in these final three outings. They have brought Sam Heazlett into the squad for this match at the expense of Mitchell Swepson and they may bring the 23-year-old straight into the batting line-up as they look towards the future as he has been in good form in the Toyota Futures League 2nd XI T20 series. Similarly, 23-year-old spinner Matthew Kuhnemann could also be handed a debut if he is selected in the eleven and he has a good chance to do so with Swepson left out of the 13-man squad. 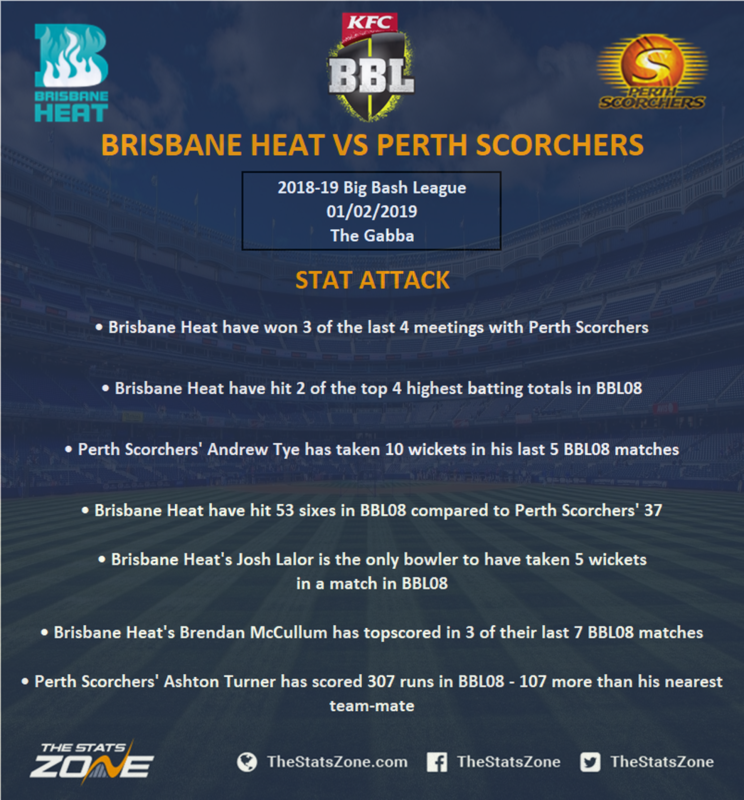 The Scorchers sit in the unfamiliar position of bottom in the Big Bash ladder and they have nothing but pride to play for in these final three matches and they will be keen to get a couple of wins under their belts starting at the Gabba. Michael Klinger has been left out once again as his future is in some doubt, while they have also omitted fast bowler Nathan Coulter-Nile who has soreness in one of his hamstrings and they have decided to rest him. Josh Inglis and Clint Hinchcliffe come into the 13-man squad and either of the young duo could potentially be handed starts as the Scorchers clearly start to look towards the future too with next year’s tournament in mind. A really tough match to call in the Big Bash as neither of these teams realistically has a chance of reaching the top four and their selections of various young players suggests they are resigned to that fact. Neither team has particularly impressed apart from the odd moment, but the Scorchers especially have disappointed. They have the edge in quality all round but so much depends on the motivation of the two teams.